“The Art of Thinking Clearly”: Book launch party in NYC. 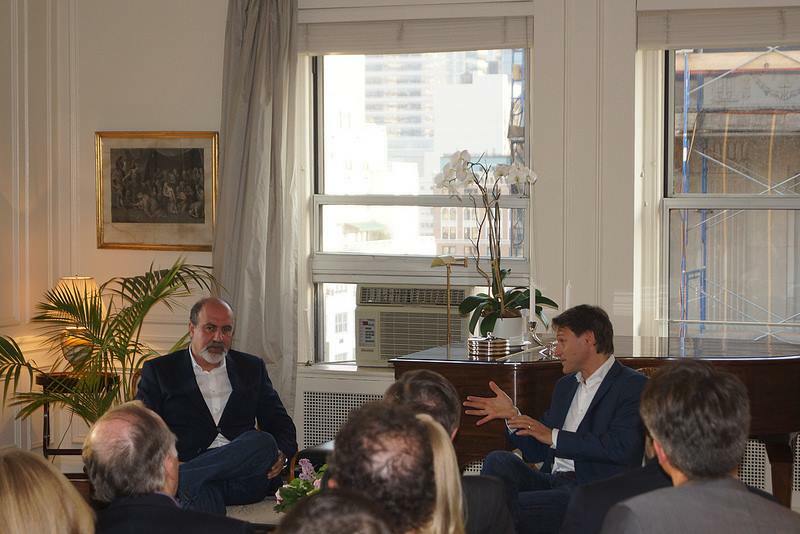 Great conversation with Nassim Taleb (Facebook link). 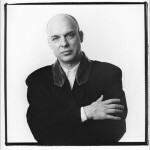 ☞ Joe Weisenthal at Business Insider writes about Musician Brian Eno’s recent letter to Nassim in A Glam Rocker’s Letter To Nassim Taleb On The Lessons Of Fukushima Is The Smartest Thing You Will Read All Day. The Long Now Foundation Blogs about it also. ☞ Matthew Boesler on Nassim’s recent Twitter exchanges with Karl Whelan. Also see Karl Whelan at Forbes weighs in. …A Via Negativa Approach to Humanitarian Work: aka how Nassim Taleb has Influenced my Thinking on Genocide Prevention. ☞ Nassim Taleb’s Barbell Theory applied to Photography? In essence make photo shoots short and intensive; Try keep photography as a hobby or play; Optionality in shooting lots of photos but only keeping/displaying the best; The tails is where the action and insight is so pay attention to your best and worst photos. ☞ A new blog Antifragile Life; Or, how I learned to stop worrying and love volatility. ☞ Steve Miller criticises “authoritative” public-policy macroeconomists in his blog post The Data and Bias of Macroeconomics. ☞ John Sullivan writes about Nassim’s new book Antifragile and the importance of looking at market’s fragility rather than risk, and how markets require stressors to thrive. The musician Brian Eno sent me a very, very powerful public chain letter, and I have to draft an answer to another person. His concern is, of course, about the future. Let us discuss. There is plenty of time as I do not plan to write anything for a few weeks, as I am on the other end of the barbell, doing math (& aphorisms). In terms of time, however, the picture seems to be narrowing. Public attention is increasingly focused on very near futures: businesses live in terror of the bottom line and the quarterly results, while politicians quake at tomorrow’s opinion polls and formulate policy in terms of them. We’ve heard tales of farmers planting olive trees or vineyards for their grandchildren to harvest, or of foresters cultivating groves of oaks to replace a chapel roof hundreds of years in the future, but by and large, we don’t do that anymore. We have less active engagement with our future than our ancestors did. Nassim Nicholas Taleb is a modern philosopher, a former trader and is currently Distinguished Professor of Risk Engineering at New York University. With a polymathic command of subjects ranging from mathematics to ancient history he also speaks many languages. He is also the author of Fooled by Randomness and The Black Swan, an international bestseller which has become an intellectual and cultural touchstone which has been published in 31 languages.